As you know, I have to stay gluten-free. Most of the time I just troll the internet for gluten-free recipes that may or may not work. I rarely buy cookbooks, but when I saw the cookbook “Deliciously Ella” in the discount section at Chapters, I knew I had to have it! I recognized her name from her blog, which I had happened to visit once or twice, and had liked the couple of recipes I had gotten from it. The biggest appeal for me was that the cookbook used a few core ingredients over and over. None of the buying one special ingredient for maybe two recipes nonsense that so many cookbooks do. Deliciously Ella presented no-frills, all the same basic ingredients cooking that I was waiting to find. The other appeal was her personal story. 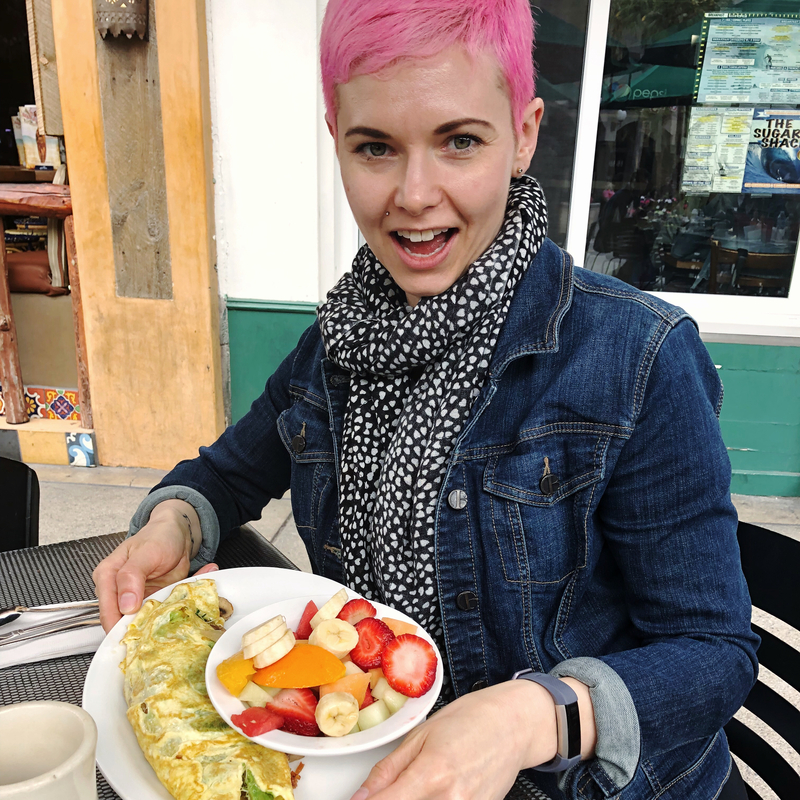 Bouncing back from her illness, Postural Tachycardia Syndrome, had a lot to do with how she changed her eating habits. 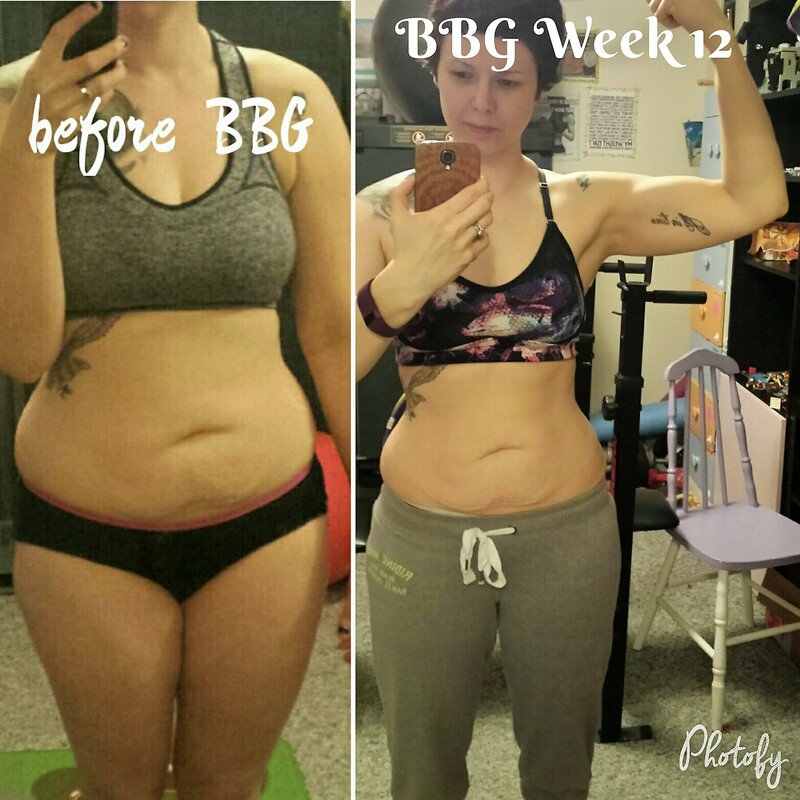 She was so happy that she started her blog to share her successes. I know what it is like to suffer from your diet choices and to have pain, so this appealed to me. I wanted to heal from the inside out. I bought the cookbook and tried a recipe from it that very night! It was a huge success!! Since I bought the cookbook I have tried a bunch of recipes from it and they have all worked out. 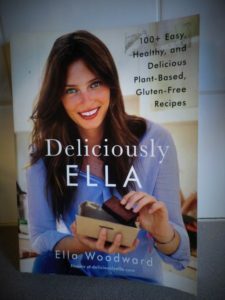 This is a very old cookbook to Ella, most likely, since she has expanded her blog, her company and produced more books since then. However, it is still a favourite of mine and I am still working through all of the recipes. I love all of the recipes I have done so far. The cookbook, I think, is her first published cookbook, and so it isn’t without its flaws. No page numbers on each table of contents, for one, and no specifications for how big of a pan, for another (she just says “baking sheet”). These are minor complaints, to be sure. Now Ella has an app (doesn’t everyone?) 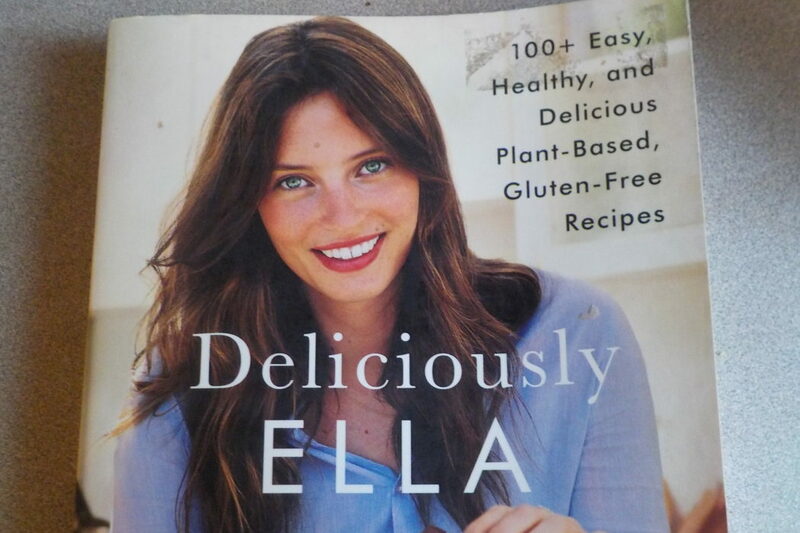 and I am considering buying it once I have done everything in this simple cookbook, Deliciously Ella. 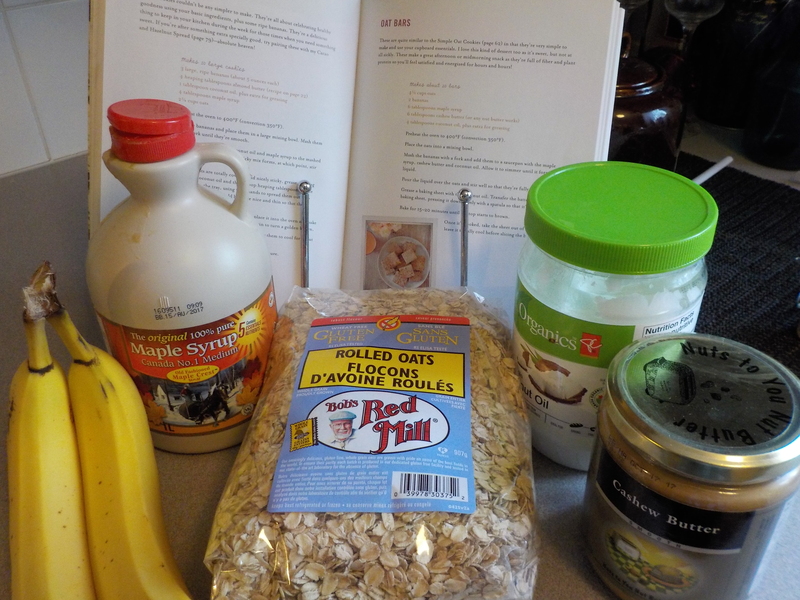 Today I thought I would try the oat bars and show you how it went. It is my first time trying them! They are baked in the oven and look like the perfect comfort food for the colder days we have been experiencing. That chill in the air just begs you to bake in the oven and then enjoy the baked goods with a cup of hot tea or coffee, doesn’t it? The cast of characters. 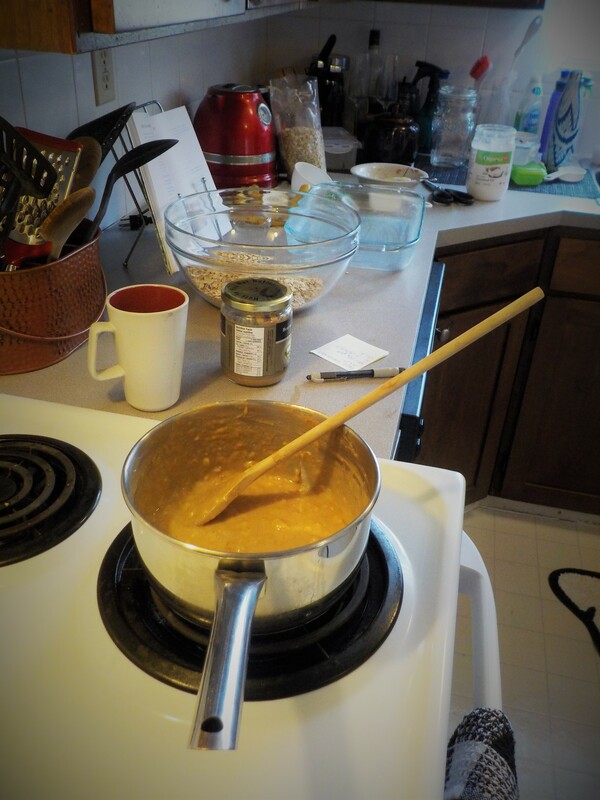 Ella encourages you to make your own nut butters, but I bought it this time around. All of the ingredients I found at Superstore since Safeway didn’t have some of them. Simple ingredients to find at your local grocery store, though you may have to try a couple of them if you have to find gluten-free oats. 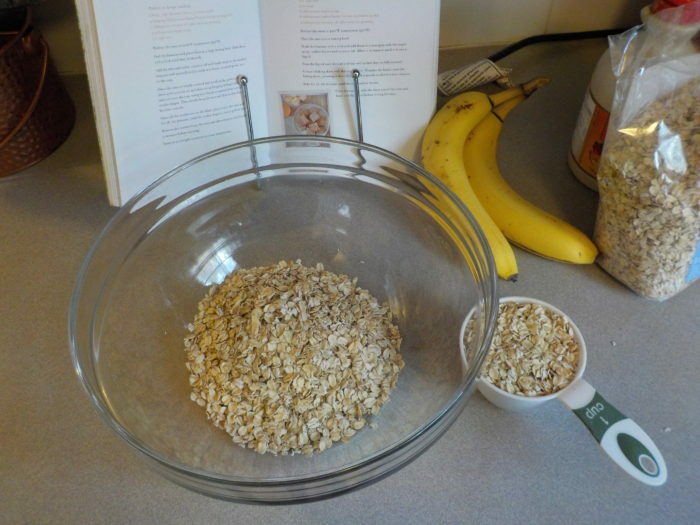 Next you need to measure the 4 1/2 cups of oats and mash the two bananas. I did a lazy job with the bananas and ended up regretting it when I had to put it in the saucepan with the maple syrup, cashew butter and coconut oil. 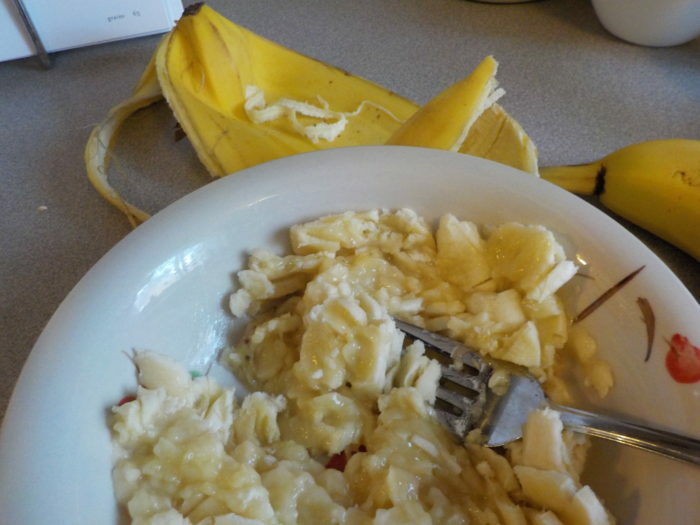 You are to simmer until it forms a liquid and I had to continue to mash the bananas as I went. Take it off the heat as soon as you see it is one sauce since cooking it too long just makes the sauce want to firm up. I found that out the hard way….I also may have had the heat a bit too high. Here is the sauce simmering away and the mess of the kitchen behind it. Isn’t baking supposed to be messy? 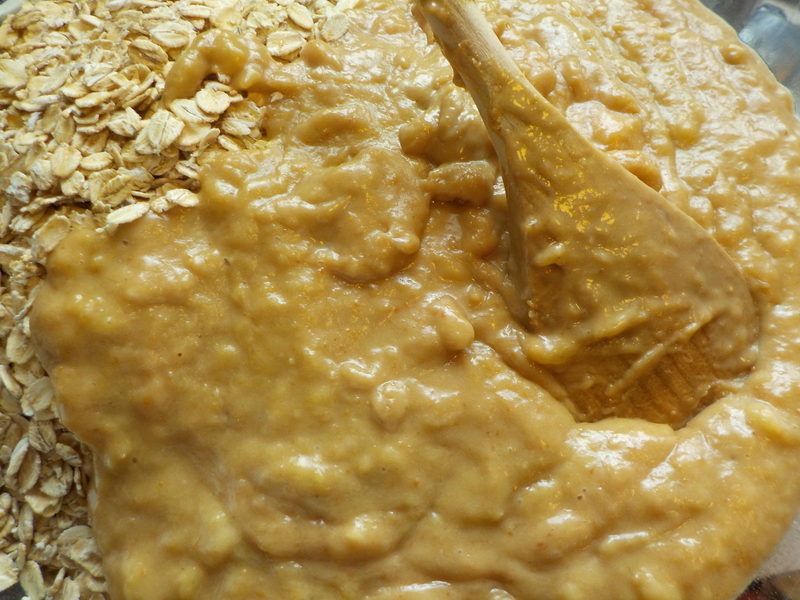 The sauce was added to the oats and stirred to fully coat the oats. There was something therapeutic about this step. Something about stirring it and watching the oats get thicker and more golden made me smile. Sign of a good recipe I guess! Plus, it smelled delightful. 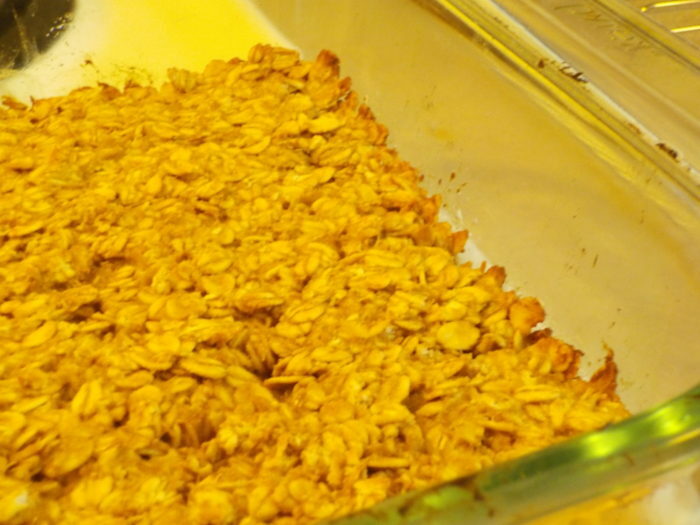 The last step before popping them in to the oven is to grease a baking sheet (I used my trusty 9×13″ baking dish) and press the oats into it. Ella suggests a spatula but I started with that and the oats kept sticking. I abandoned that method and greased my hands with coconut oil so that I could press the oats into the pan with my hands! Way more fun and worked like a charm. Then I popped them in to my 400F oven for 15 mins to get this…. Yum, delicious golden brown goodness. 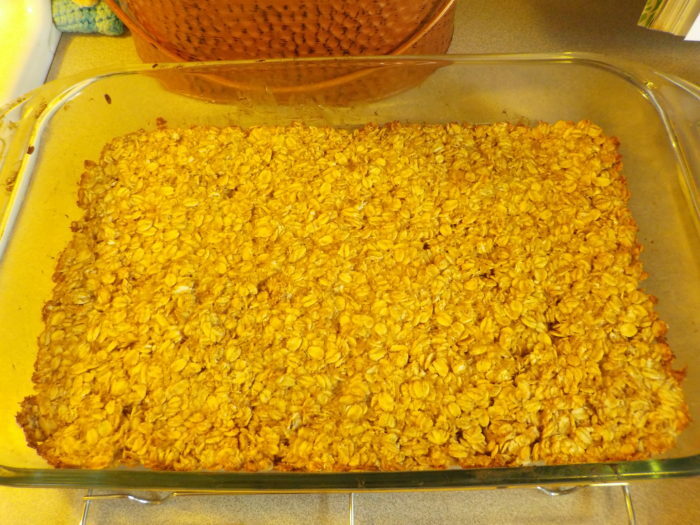 Now hurry up and cool, oat bars!! Once cooled, you can cut them and eat them! The only thing I would have changed in the recipe is adding a touch of cinnamon, but only because I am addicted to cinnamon and put it in everything!! Anyone else the same? 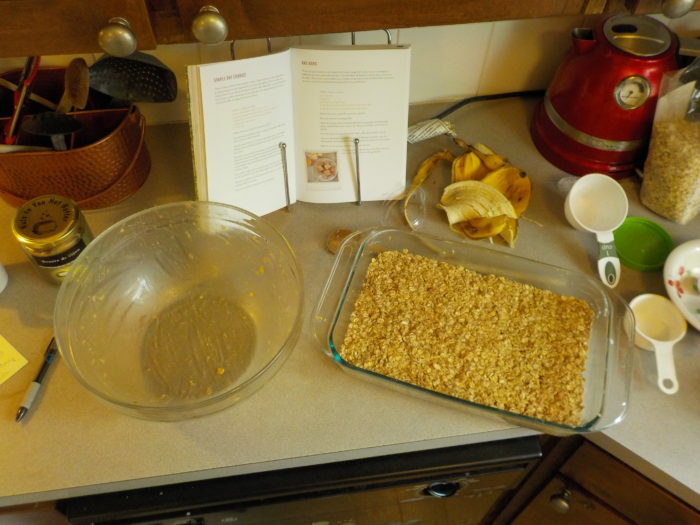 I left a few details of the recipe out of the description since it isn’t really mine to share, but I encourage y ou to check out Ella’s website to see if it is still there. If it isn’t, the cookbook is worth its weight in gold. I always feel light and energized after eating her treats or meals. Worth a buy. 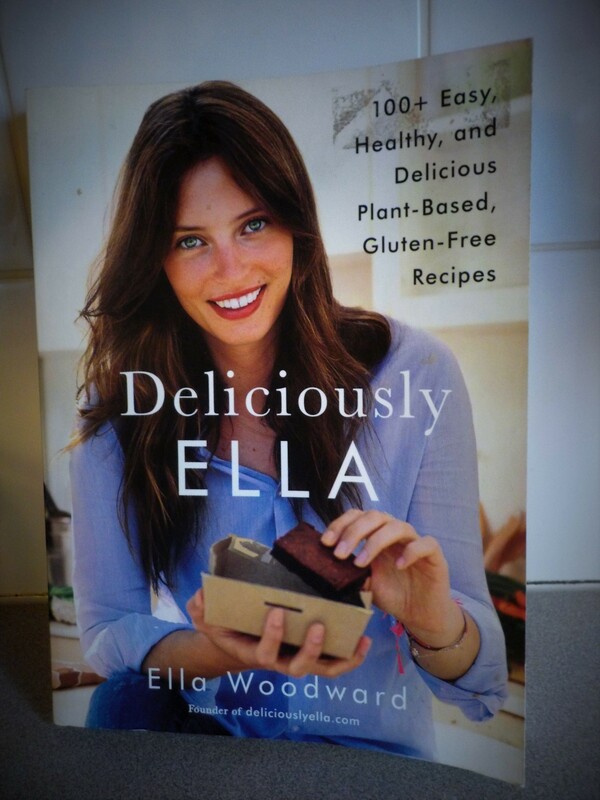 Or even her new one, called Deliciously Ella Every Day, which I don’t have yet! If anyone has that one, please share what you think of it. 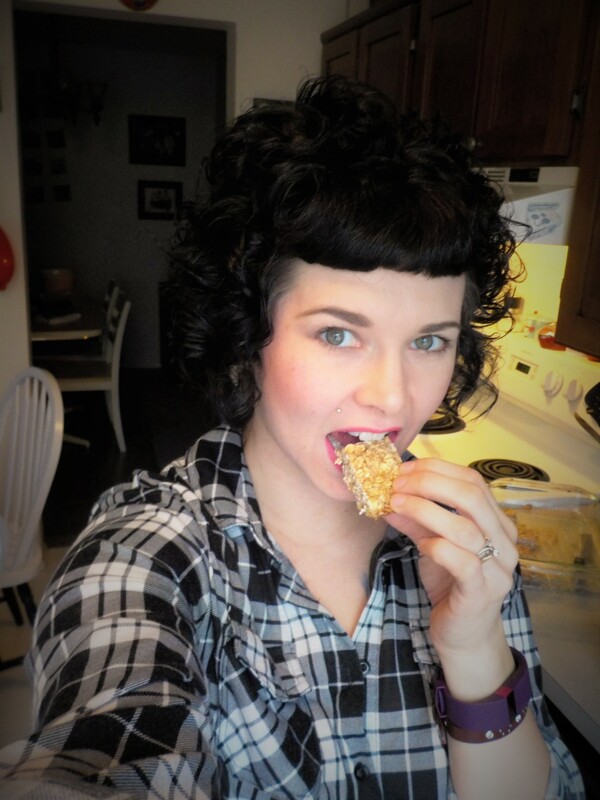 I am off to enjoy some oat bars and coffee. Hope your day is as delicious as mine has been! I’m not a big cookbook fan either, but I love that one! 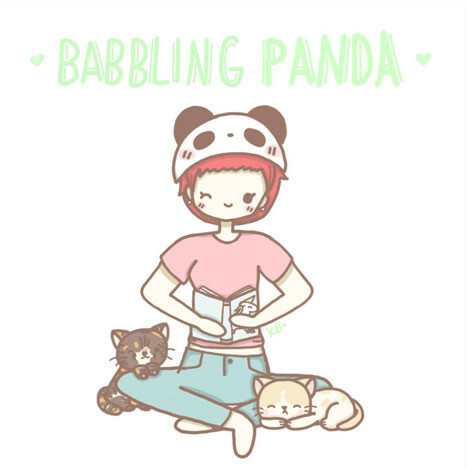 It’s great! So easy and no wasted ingredients. I love its simplicity. 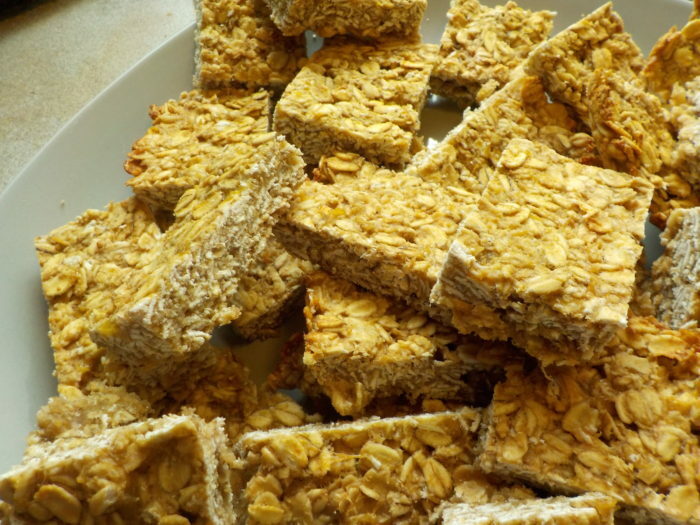 These oat bars look delicious!!! There’s a recipe for sweet potato brownies on her blog that I plan on trying out this weekend. I might have to check out her cookbook soon too. I’ve made the sweet potato brownies and they are incredible! First recipe I made from her cookbook actually.